There has been some discussion on my blog about the ArcGIS Online Data Appliance. Most ESRI users already know what is on the thing because they have had access to the ArcGIS Online Beta. 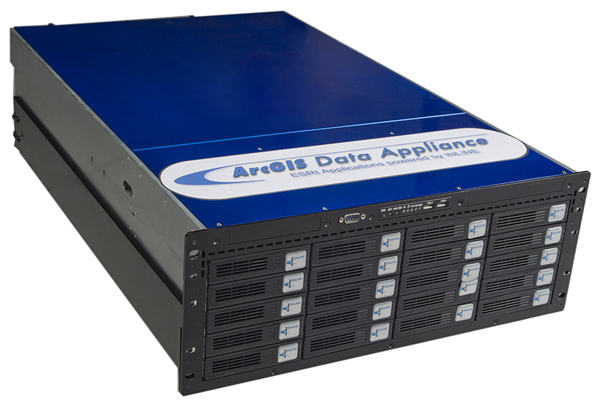 The ArcGIS Appliance provides terabytes of pre-rendered U.S. nationwide and worldwide data that you can host on your own secure server. This data consists of 2D maps and 3D globes that are optimized for publishing with ArcGIS Server and includes worldwide imagery, street map, shaded relief, and elevation data. So, does this excite anyone? Google of course has their own product and I know I’ve heard other companies getting ready to offer such products using ArcGIS Server and/or ArcGIS Image Server. Personally I have to think this will be a huge hit with companies that are tied to the ESRI stack (which is probably its target marketplace). If you want to see the costs of this product, the online PDF is here.